We thoroughly enjoyed the work involved in judging The Arts & Letters Club, Washington D.C. scholarship. 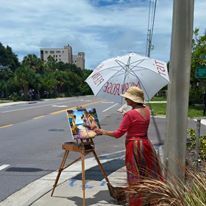 A challenging experience and we ere happy to call upon our previous experience of judging the Plein Air Paint Out in Tarpon Springs some years back. All three of us have been working on commissioned pieces this summer. 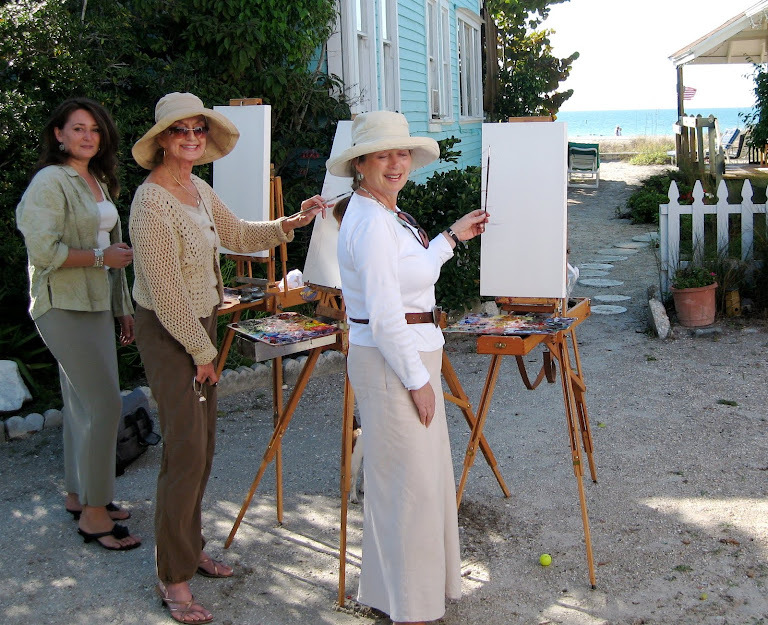 Additonally, we are painting furiously and adding to our upcoming exhibition at Indian Rocks Beach in December. 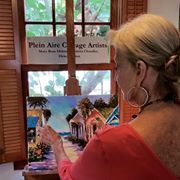 Mary Rose Holmes adds magic to painting in studio. Violetta Chandler has generously agreed to donate a portrait to a worthy cause that provides health care to those without. The painting will be painted in situ from live model at the Gala in January. Helen Tilston is donating"My Day of Rest at Youghal Beach" to Martine + Matisse. 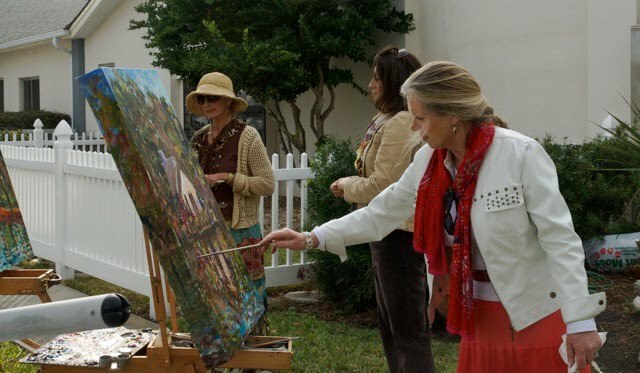 Your time in Ireland, undoubtedly, is immensely inspiring, both, I imagine, with regards to your painting but also to giving back to the community, as you and Mary Rose and Violetta always do. Well done to you dearest Helen! May your days are filled with inspiration and creativity so that people can also be inspired and thrilled to see your work in December. Happy autumn days and thank you for your sweet words. wow you are really an amazing painter .